Summary from Goodreads: Mya Belan was invisible. A social misfit tolerated at the popular table only because of her best friend Jaimie… but ignored by everyone at school. On the night of the big beach party before senior year everything changes. Mya rescues a drowning stranger from the sea and as the amnesiac boy “John” struggles with the after affects of his accident, Mya finds herself drawn to him - first as she nurses him and then as they form an unexpected friendship. As Mya’s social star rises, so do the mysteries surrounding John. The more time Mya spends with him the more their attraction grows. But John is harbouring secrets that threaten to tear them apart. His flawless features and enchanting charisma hide an unbelievable truth. Could John’s secrets put Mya and her family in danger? 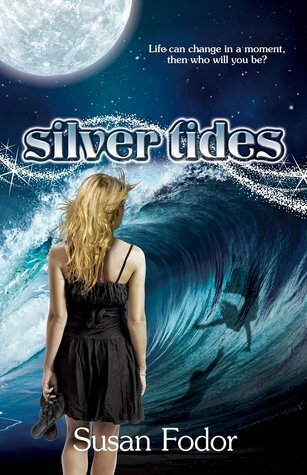 The Review: I finally started diving into other mermaid tales recently, and I wasn’t disappointed with Silver Tides. Right away I felt compassion for Mya as she struggled to fit in and right away I hated all of the “mean girls”. The high school drama, cliques, bullying…yuck. But, it happens and I think Susan did a good job of creating that tension and making it more believable as to why Mya would be so drawn to an unconscious boy that washed up on the beach. And speaking of Daniel…right away you get a sense that he’s too good to be true and that he’s not what he seems. For the first two-thirds of the book, we are wrapped up in the high school life, so much so that I wondered when we would start seeing the fantasy aspect come into play. But once it did…wow! 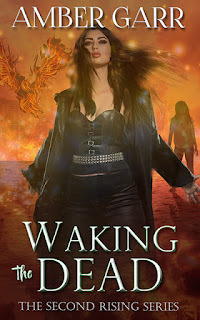 I absolutely loved the world Susan created and kind of wish the book would have started there. I also kept wondering how it was all going to tie together and kept waiting for something big to happen. And it did…the last few lines of the book! The complicated relationship between her parents was interesting and heartwarming, and I’m really curious to see how Daniel and Mya continue to develop in the next book. I’m very intrigued to say the least! The Good: Great ending that tied some of the high school characters together. It makes me want to read more right now! The Issue: Too much time spent on the high school drama and not enough on the fantasy world. The Review: 4.5 conch. A mermaid and selkie tale wrapped in a world of fantasy and reality.